By far the most common question we find entrepreneurs asking is: “What financing options are out there to start or grow a small business?”. 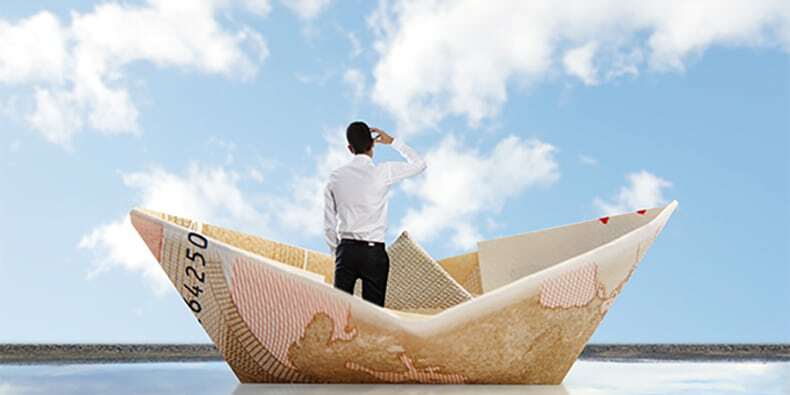 Although there are many traditional ways to finance a business, like through personal savings, family and friends, loans from financial institutions, and specialty financing programs, sometimes these may not be enough (or available at all) to get a new venture off the ground. That’s when you need to harness your creative energy and start thinking outside the box! We’ve compiled a list of some of the more resourceful ways that you can consider exploring to get your business started. Bootstrap Your Business—Rather than spending tons of money getting started, you may want to consider seeing what you can do for smaller and cheaper, or more with less. Taking this approach can lessen your risk by reducing the financial burden and helping build a client base as you grow. You also get a chance to learn more about operations before committing additional resources, also ensuring you aren’t spending money carelessly. Think about starting small at a local market, selling online, or being mobile before setting up a big retail storefront location. Put in Sweat Equity—Give some thought about any work that you can do yourself. Maybe you can design your own website, do your own bookkeeping, or renovate a space yourself. It’s really about putting in the time and energy. Buy a Business for Cheap—In some cases, businesses have been sold for $1! The only caveat is that you will most likely inherit all previous debts of the business and would be responsible for them. But maybe you have faith that you can better manage the business, turn things around and make it profitable again? The only trick is to find someone selling their business at a bargain price. Offer a Service instead of a Product—Quite often service-based businesses can be started for a significantly lower cost than product-based businesses. If you have the skills, you can get started selling right away versus having to invest dollars and time making or purchasing inventory or space. Do a Crowdfunding Campaign—This is a way to raise money by asking people online to contribute to your business goal or pre-purchase your product or service. Once you choose a platform and create a campaign, you market it online and through social media to potential customers. Get Help from the Community—If you have a strong and loyal prospective customer base, you might be able to get help from your biggest fans. You also might be able to find volunteers who can help donate time, services or resources to help you out. Bartering—If you don’t have the cash, you can consider trading goods and services with another business. The transaction doesn’t involve money, but rather swapping one thing for another. For example, if you are a graphic designer, you might be able to trade your services with an accountant for bookkeeping services. Create Subscriptions—You might be able to utilize a subscription model. Customers pre-purchase a subscription for your products or services, and you have repeating orders on a regular basis (e.g., monthly). If you do a quick search online, you will find that subscription services are now available for a wide variety of products. Enter Contests, Awards, and Pitch Competitions—There are often many contests for entrepreneurs and startups that you might qualify to enter. Keep up-to-date by following key influencers and businesses on social media, in the media, and sign up for popular e-newsletters like the Business Link Connector. We often share details about these kinds of events on our social media, so follow us on Twitter and Facebook! 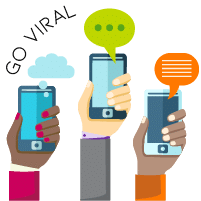 Go Viral—Consider if there is something unique or clever about your business that has the potential to go viral and attract viewers. Think about recording something related to your business and see what ways you might be able to get the word out about it to the media. License your Product—If you can attain intellectual property rights, like a patent, you might be able to license it out to another company. Instead of spending a ton of money, time, and resources on starting, running, and building a complex business, you can sit back and collect royalties while someone else does the hard work of selling. Sell Advertising—There might be an option where you can earn some money by selling advertising space to other businesses. Consider finding complementary businesses to see if they would be interested in having their logo or name appear in high traffic areas like your website, in your store, or on your vehicle. These are just some of the ideas as to how you can finance your new business venture. Remember that if you believe in something, you will find a way to make it happen. It may not come together right away, but as long as you are taking small steps to getting where you want to be, you can consider that success. Dream big with your ideas. David Bayda is one of Business Link's Senior Business Advisors. David provides exceptional client service leadership, collaborates with an amazing team, and offers one-on-one guidance and advice to entrepreneurs. He has extensive business knowledge covering areas like startup planning, trend research, Business Model Canvas, marketing, crowdfunding, event planning, and strategic growth. David also loves innovation and has experience in product design, intellectual property and tech. If you need creative ideas, he can brainstorm with you! David's past startup experience includes running his own handyman business. He is also actively involved in various community initiatives, social causes, and always has an invention on the go!